Today I am sharing another wrapped finger food recipe. I must admit that I am a sucker for this kind of food, does it show? I like everything wrapped, either fried, steamed or boiled. From Sosis Solo to Perogies, from siomay to momos, and yes, I have those frozen in my freezer and I am planning for making some more for Ramadhan. Last weekend we had a Moroccan themed supper and I was responsible to bring some kind of Moroccan appetizer, so I made meat briouats, a Moroccan puff pastry with meat filling. 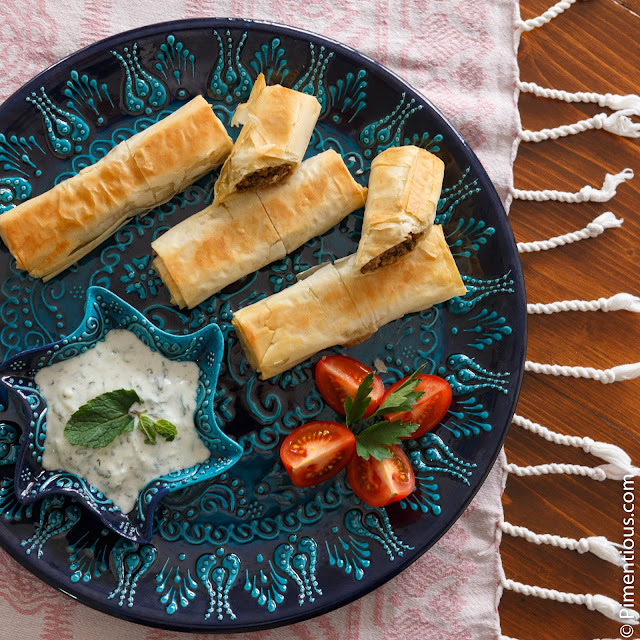 The real Morrocan briouats are wrapped in warqa, a typical Moroccan paper-thin pastry sheet but I substituted this with phyllo sheets instead. 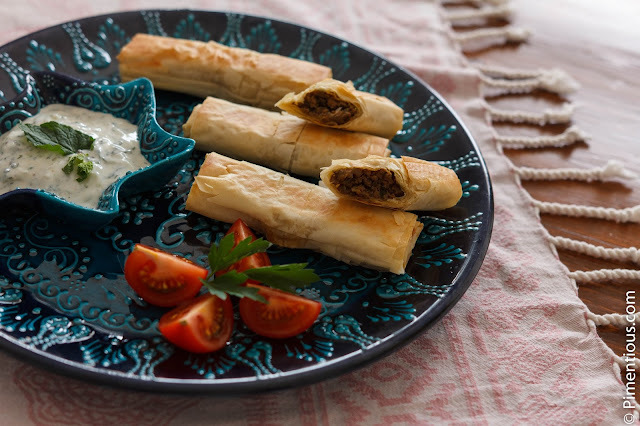 Some said you can even use spring roll skin, but since I am baking this briouats instead of frying it, phyllo sheets work much better. For getting the authentic Moroccan taste, I used Ras El Hanout. Ras El Hanout is the Garam Masala of African cuisine. Its the typical spice mix used in their cuisine, consist of minimum 12 (and up to 100) different spices. I am sure if you Google the ingredients, you can make your own mix. However, I got mine pre-mixed from 35 different spices. Line your baking tray with a parchment paper and place the briouats on it, bake for 5 to 6 minutes, or until golden brown and crisp, turn the briouats and continue baking for another 5 to 6 minutes. 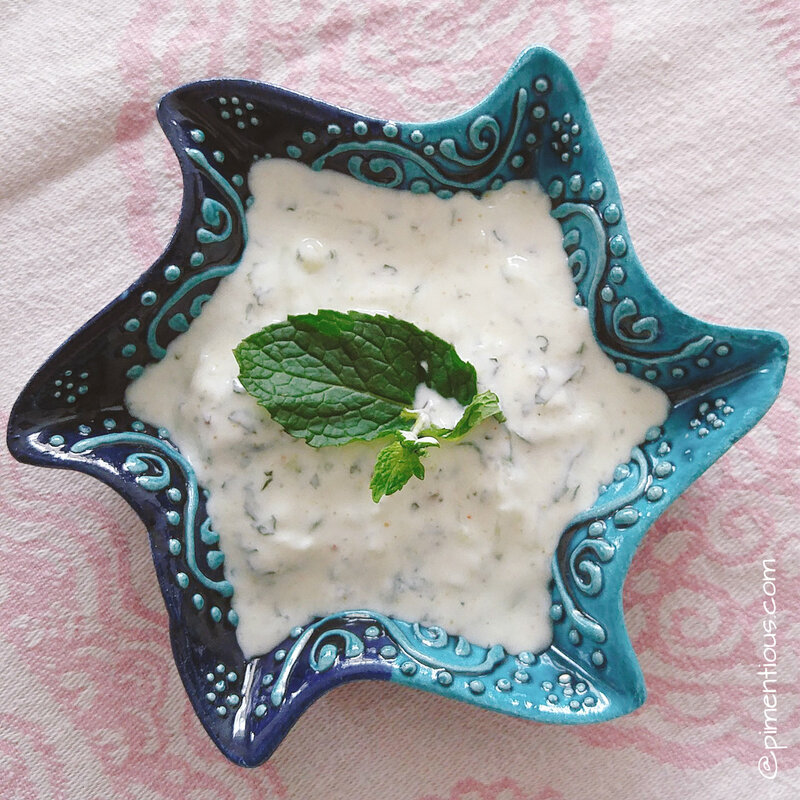 Now, lets make the fresh and simple Tzaziki sauce! garlic paste is also common to be used in Tzatziki sauce, but I am not using it today, I find it too strong to go with the briouats. Simply mix all ingredients in a bowl (refrigerate for an hour for best flavor). PS: The phyllo sheets get dry very fast, keep it under a damp kitchen towel to keep it moist and pliable. Taste while you are cooking and adjust the spice to your liking, my measurement is merely a basic guide.